Disney's new movie, Frozen, is a huge hit with kids. 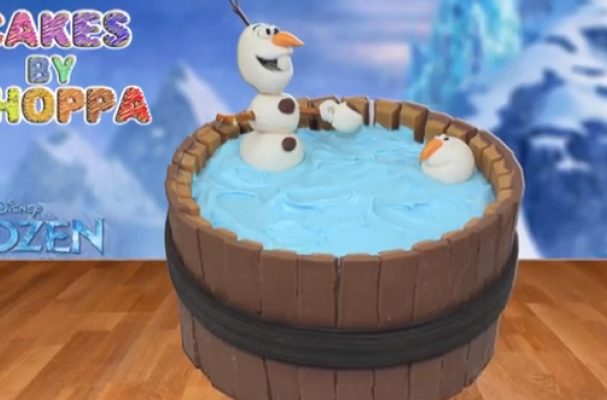 This cake depicts the lovable snowman, Olaf, in a big bath tub. While this cake appears to be complicated, it is a great project for cake decorating beginners.